I was convicted of a misdemeanor in Wyoming. How will this affect my future? This really is a case-by-case type of question for each individual. It really does depend on what your future looks like. Whether you are in school and you want to go into education or medicine, or work for a company in which the candidates that you are competing against don't have a criminal history may be chosen over you. What always comes back into play, no matter what your future plans are, you do want to make sure that your record is clean. You don't want to have to explain a bad decision or a mistake for the rest of your life. 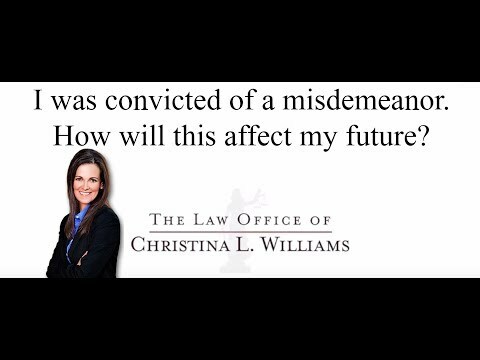 That’s why it is very important to always consult with and hire and attorney that knows criminal law and that can aggressively defend you and protect that record and protect your future.